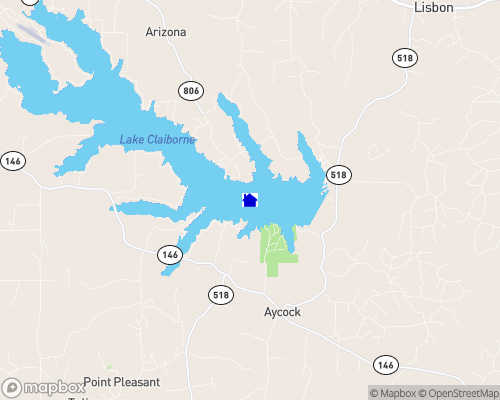 Lake Claiborne, 6,400 square acres, is best known as Louisiana's purest lake. Because of its depth and pure watershed it is free of pollutants. Extra large ski lanes and depth of lake make water sports a delight as well as large portions of the lake designed for the most serious fisherman.